Made this one a few months ago. 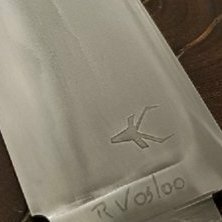 Blade is 10" and forged to shape from a billet I made with a centre core of 80CRV2 and 15N20/1084 mix. Guard is stainless, handle is African blackwood, pommel is low layer damascus. Very nice knife Clint. Saving that to the ‘inspiration’ folder. It can. That long clip and the san mai pattern are too cool!